On the 20 June 1911 both Bradford and Leeds inaugurated their trolleybus systems, the first to open in the United Kingdom. The Trolleybus Museum At Sandtoft held a number of events to mark the centenary, the first of which was held over the Easter weekend Saturday 23 to Monday 25 April 2011. On the weekend of Saturday 25 and Sunday 26 June 2011 there was be a Bradford Centenary Event. 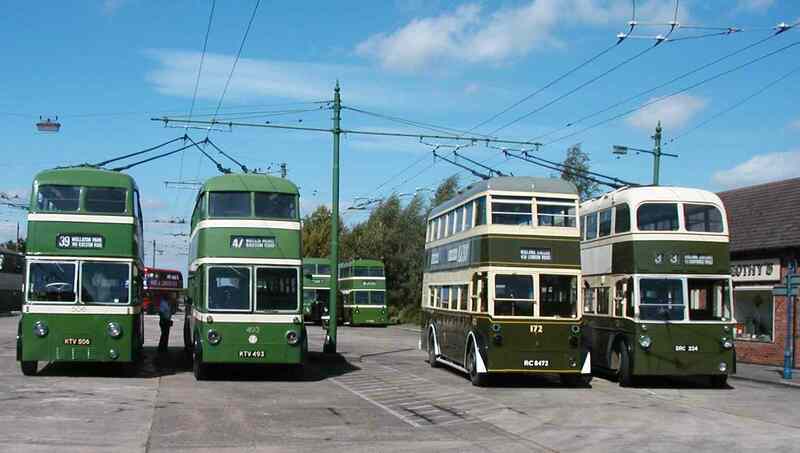 The East Anglia Transport Museum at Carlton Colville also had a special one day event devoted to 100 years since trolleybuses first operated in the UK. It was hoped to return the WORLDS OLDEST operational trolleybus (Copenhagen 5) to service for this event. There were trolleybuses in service showing the development of this type of vehicle during the decades, at home and abroad. A free hourly bus service operated to Lowestoft. Nottingham's 493 and 506 were ready for this event. In addition to Derby 172, Derby 224 visited from East Anglia Transport Museum and also operated making a very impressive line-up of trolleybuses. 224 was exchanged for London 1812 for the summer period, and they swapped back in September, so that 1812 was available for the 6-Wheeler event.